I have a retail store and told my staff no one can take leave in Dec - SO to set an example I decided with only 1 week notice to take an awesome trip to the Okavango Delta - Moremi in Botswana in Nov. Most people book atleast a year in advance is it's SO fully booked. I was lucky to go just before the December leave period. We just pitched and found the camp sites mostly empty. 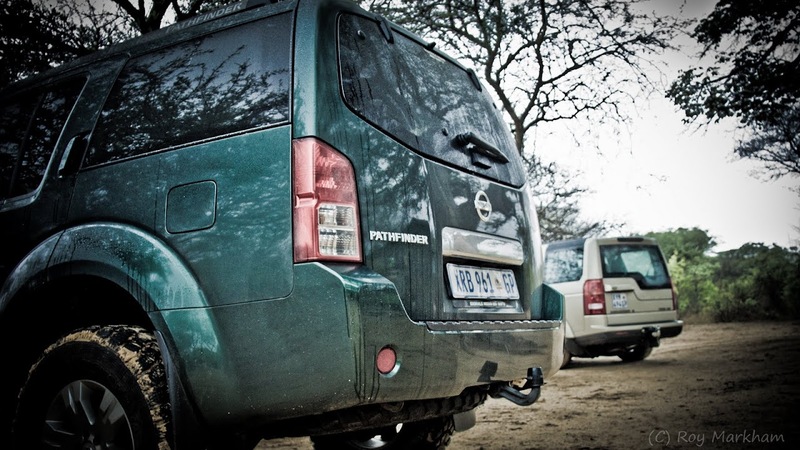 We were two vehicles, our awesome and much loved Pathfinder and my parents in their Land Rover D3 (LR3) together with their new offroad trailer (http://www.conqueror.co.za/conquestgal.php). The "google" route showed around 1400km and 18 hours. Not knowing about road conditions, potholes, cattle and other african traditions it was undo able in a day. We set off at 5am and got to the SA / Bots border at around 12h00. There are very strict rules about importing meat due to foot and mouth outbreaks. Based on previous experience we had poultry, milk products and even fruit confiscated so we hid some of it...previously some vetinary gates allowed us through yet others looked for "bribes". As luck would have it a border cop needed a lift to Serowe (150km). Of all cars he hitched a lift in my parents - they had the fruit. Along the route we saw a truck with people on the back waving and throwing up what looked like curios, upon closer inspection it was tortoises - illegal poaching. It was kinda cool to see them turn white when our "touristy" cop climbed out to have a few words. 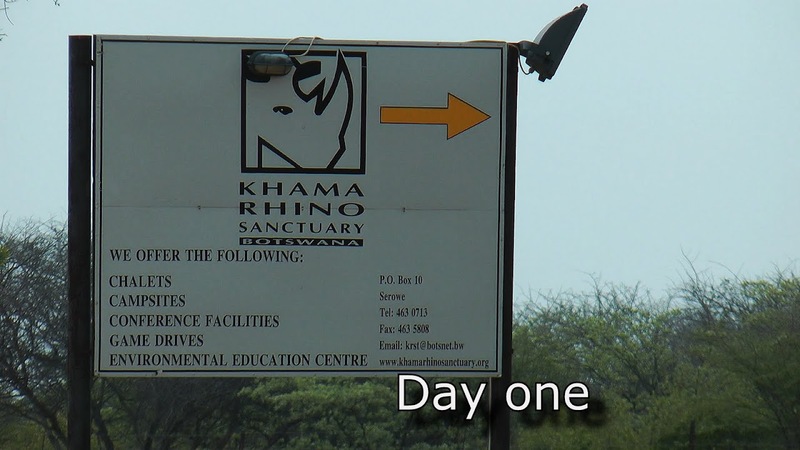 We continued to Serowe close to where our first stop was to be, Khama Rhino Sanctuary. Something about being the only Rhinos left in Botswana due to poaching. I expected this to be a dud place - like a zoo. Boy was I wrong. We started out with excellent deep rutted sandy tracks. It felt like I was on a tram. I barely used the steering wheel. Instead I left it in 2nd gear and idled to camp. Auto pilot Yea. It had just rained and there was an awesome cool (74F) in the air, not typical of the 40C (104F) temps we expected. 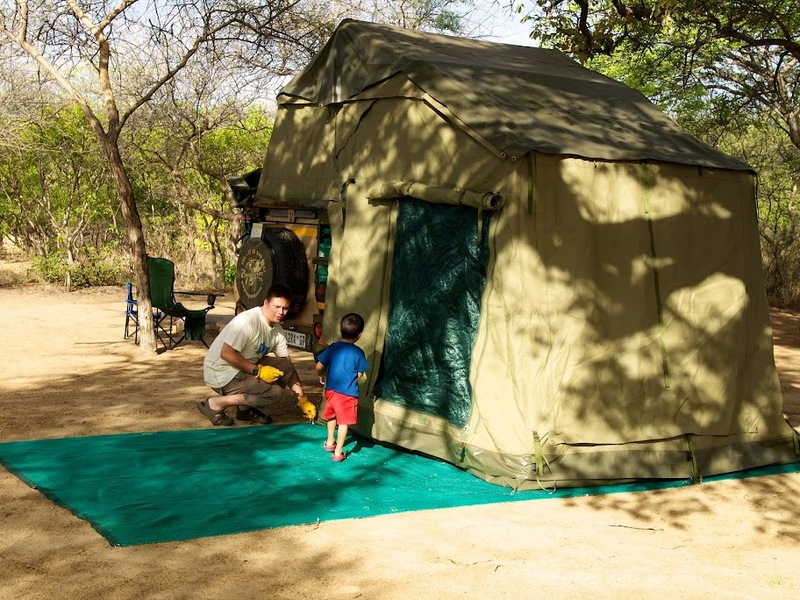 We were the ONLY campers and I loved the huge camp sites and privacy. What a gem. Does this look like a kid who is not enjoying himself? That night was an interesting affair however as the ablutions were - well - absent light. So here I was trying to shower myself and my son in the twilight (dark in the thatched room). What was worse was when my cell phones light did shine, it showed those big "flatties" (Wall crab spider) so typical of the african bush. Totally harmless, camouflaged better than any army squad. It looked like the bricks themselves were alive. 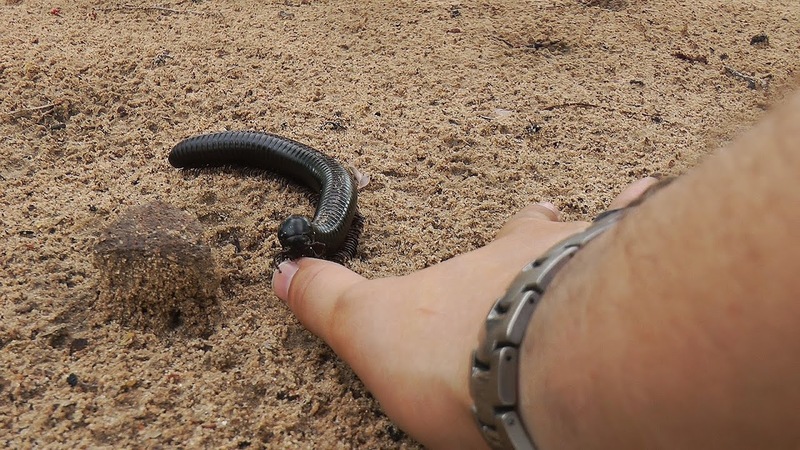 They can grow to about the size of your palm - hand if spread out. Toilet duties would have to wait until light...the towels absorbed more soap than water. 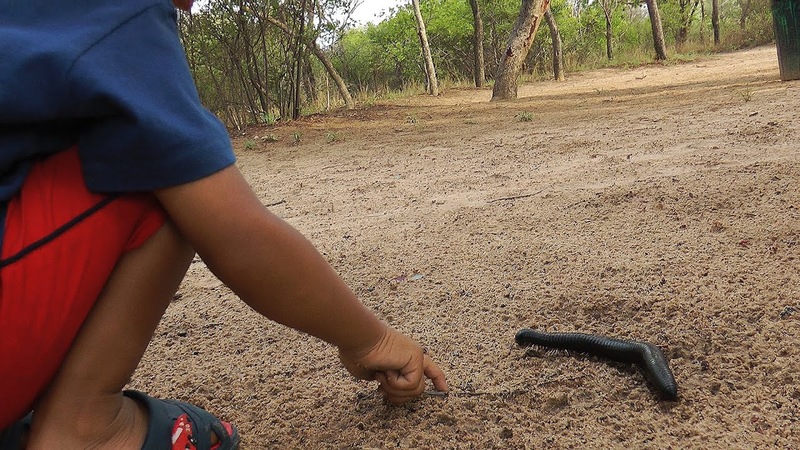 We didn't expect any dangerous animals in this reserve. Daytime can be SO deceiving. 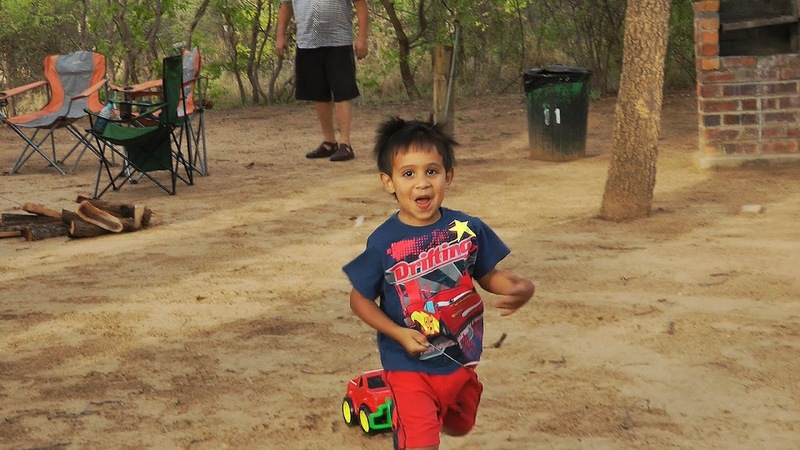 We kept a close watch on my kid but at night I walked around camp quite blas�. A night drive the next night made me feel queasy with how nonchalant we'd been. We awoke to overcast weather, perfect! 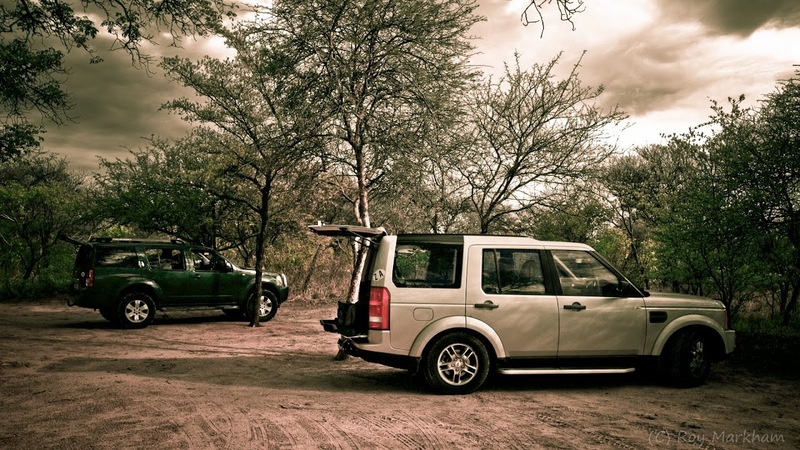 Great for photography and game viewing. 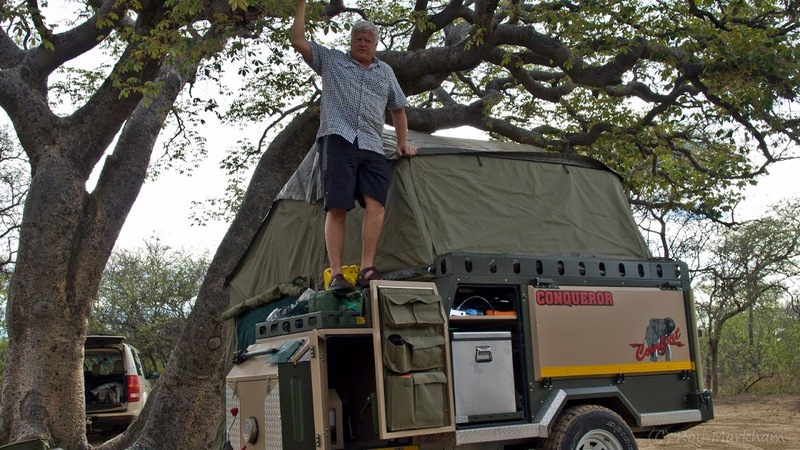 What is that Conqueror Comfort pop up trailer that guys is standing on? Who is the manufacturer? It looks awesome. I wonder if its available here in the states. Conqueror is the manufacturer. They are a South African company that started off by manufacturing equipment for military applications. 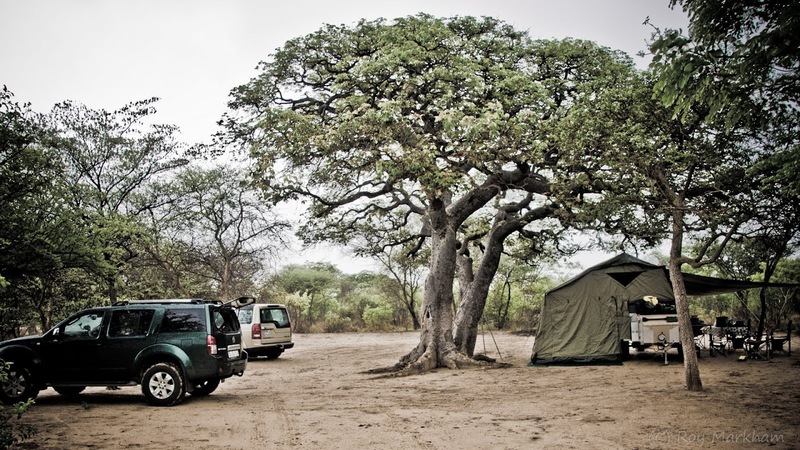 They manufacture a range of off-road trailers and caravans. The one in picture, the Comfort is a trailer with a tent ontop. That trip sounds like a ton of fun. Great stuff, looking forward to more. Any pics of those big spiders?